Andrew Sabga is the Chief Executive Officer of the ANSA McAL Group of Companies and the Chairman of the Executive Committee for the Parent Board and ANSA McAL Barbados. He was the Deputy Chairman of the ANSA McAL Group from December 2015 to August 2017 and Beverage Sector Head from May 2007 to November 2015. He has over 25 years of industry experience in the Manufacturing Sector of the Group, having previously held senior managerial positions and directorships at CARIB Brewery Limited, CARIB Glassworks Limited, Caribbean Development Co. Limited and Trinidad Match Limited. Mr. Sabga was the former Chairman of Alstons Marketing Co. Limited, Caribbean Development Co. Limited, CARIB Brewery Limited, Grenada Breweries Limited, CARIB Brewery (St. Kitts & Nevis) Limited, DCI Miami, ANSA McAL (US) Inc and CARIB Glassworks Limited. He is a Director of ANSA McAL Limited and was the President of the Trinidad and Tobago Chamber of Industry and Commerce from 2011 to 2013. He holds an MBA, Marketing from the University of Miami and a B.Sc. in Business Administration (Marketing/Finance) from Boston University. Ms. Lee Loy is the Chairman of Aegis Business Solutions Limited, outsourcing and advisory services, Partner of Aegis & Co., external audit company and Chairman of recruitment agency, Eve Anderson Recruitment Limited. She is a Fellow of the Association of Chartered Certified Accountants (UK).She was a former partner responsible for the provision of Assurance and Business Advisory Services with PricewaterhouseCoopers. Ms. Lee Loy is a non-executive director and Chairman/member of the audit committee for a number of public and private companies. She is President of Trinidad and Tobago Coalition Services Association (TTCSI) and within the NGO sector; she is also Chairman of Social Justice Foundation and Music Literacy Trust and director on The Mercy Foundation, a division of Living Waters. She was the first female President of the Institute of Chartered Accountants of Trinidad & Tobago (ICATT) and the Institute of Chartered Accountants of the Caribbean (ICAC) and the Chairman of the National AIDS Coordinating Committee (NACC). 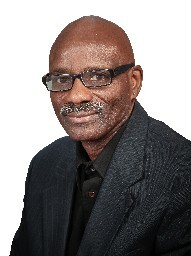 Mr. Mc Nish is an experienced HR Professional, practicing in the Caribbean Human Resource environment for over thirty years. Professionally, he is a certified Mediator in the ADR process and holds diplomas in Industrial Relations and Strategic Human Resource Management from the Cipriani College of Labour and Cooperative Studies and Babson College, Boston, USA. He is a graduate of the University of London with a Bachelor of Laws Degree (LLB) and the Masters of Law (LLM) programme majoring in Corporate Law with a focus on International Trade and Employment Law from the UWI, Cave Hill. Although his Human Resource background is rooted in Industrial Relations, he has developed a broad knowledge base that has allowed him to successfully practice as a Generalist over the past 15 years. Prior to being fully immersed for the past six years as the Chief Executive Officer and Principal Consultant of Human Resource Technologies, he has held numerous strategic HR positions in the corporate sector. 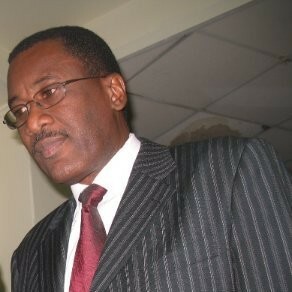 He is a former Vice President Human Resources of Caribbean Airlines. Whilst there he developed and implemented the organization’s HR strategic plan to address the unique transition issues of the organization. He also reengineered the management decision-making protocol, creating a seamless process for effective network-wide communication. He streamlined Benefits and Compensation as this posed administrative challenges which affected the pilots, flight-attendants and other critical non-office personnel. Fourteen years spent at the TCL Group of Companies highlighted Mr. Mc Nish’s fortitude while there, he successfully achieved seven years of positive and peaceful union/management relations for eight companies within the Group, listed in six Caribbean States. He was instrumental in the ingenious integration of Carib Cement Company Limited of Jamaica into the TCL Group, where he conducted HR due diligence and conceptualized the strategic HR framework. From 1983-1996 he created a milestone as the HR Manager with the responsibility for core HR functions at three organizations: Carib Brewery, Carib Glass and Airports Authority respectively. Apart from integrating the merger of the Stag Brewery into the operations of Carib Brewery, Mr. Mc Nish also completed detailed and a complex job evaluation and classification exercise reconstruction for over 112 positions and 1300 incumbents. A similar exercise was also conducted at the Airports Authority for all Clerical Administrative support functions in conjunction with the office of the Chief Personnel Officer. Jane Wight is currently the Chief Executive Officer of BOSS; a leading distributor of Office Solutions. 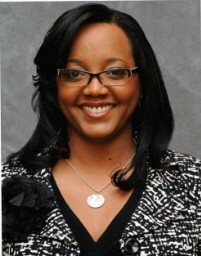 She previously held the position of Executive Manager of Human Resources for two and a half years. Jane’s previous corporate positions over the past ten years have given her significant experience in strategic planning, customer service, sales strategy, performance management, leadership development and employee engagement. She is also the Managing Director/Principal Consultant of Connection Management Limited. The company specializes in the development and improvement of Human Resource systems geared towards enhancing the Strategic direction of a Company. Jane holds a Masters of Human Resource Management from the Arthur Lok Jack Graduate School of Business, University of the West Indies, a Bachelor of Commerce (Hons.) 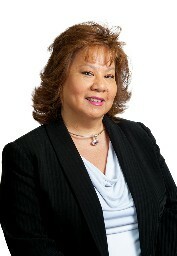 from the University of Guelph, Canada, and is a former board member of the Human Resource Management Association of T&T. She currently sits on the Employment and Labour Relations Committee at the T&T Chamber of Industry and Commerce. Jennifer is a Director with 14+ years of global experience in the field of Human Resources in the Cayman Islands and in Canada. She is the regionalTalent Leader for Deloitte in the Caribbean and Bermuda Countries, and a subject matter expert within the Human Capital Consulting practice. Jennifer is a Chartered Professional in Human Resources (CPHR) and a Certified Return on Investment Professional (CRP). Shehas trusted credentials in all people-related matters, including strategic human resource management, talent acquisition and onboarding, talent management and professional development, learning design and delivery, performance management including coaching and strengths, organizational design, compensation and benefits and HR related systems. She has a wealth of knowledge in Human Capital Consulting and strategic talent management, gainingsterling qualifications by delivering multiple projects for organizations across the Cayman Islands, in areas including job evaluation, market pricing and salary structure creation, organization design, process improvements and reviews, leadership training, performance management and executive recruitment. 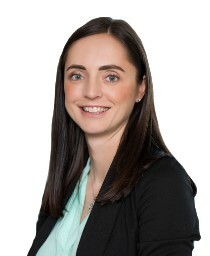 Jennifer is a member of the Cayman Islands Society of Human Resources Professionals (CISHRP), Gender Equality Taskforce, and 100 Women in Finance. She is also a member of the Society for Human Resource Management (SHRM) as well as the SHRM Forum Leader for the Cayman Islands. Dr. Charles is Co-Founder and Principal Consultant of Quality Consultants Limited, a Caribbean business research and manage¬ment consulting firm formed in 1998. Prior to this, he was a Lecturer in Management at the St. Augustine and Bahamas Campuses of the University of the West Indies and the human resource manager of a local energy company. He has also taught at the Arthur Lok Jack Graduate (now Global) School of Business and the Cave Hill School of Business, among other educational institutions. Dr. Charles holds a Bachelor's degree in Psychology from the University of Toronto, Canada and Master's and Ph.D. degrees in Social Psychology from Howard University in the US. He has conducted numerous consulting assignments, workshops and seminars throughout the Caribbean and in North America for regional governments and international agencies, including the European Union, International Labour Organization, Organization of American States, and Caribbean Development Bank. His managerial, academic, consulting and research experience spans over 30 years. Dr. Charles’ areas of expertise include employee engagement, human resource management research, change management, strategic management and leadership. He has published several articles on these and other areas in books, academic journals, magazines and newspapers. L. Anthony Watkins is the CEO and Principal Consultant of ODYSSEY CONSULTinc Limited – a premier human resource and organisational development consultancy in Trinidad and Tobago. 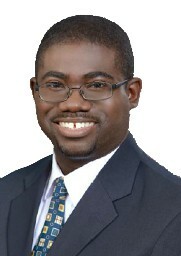 After graduating from the University of Toronto with a bachelor’s in psychology, his early career centered in education - as a teacher, guidance officer, tutor with the UWI School of Continuing Studies, and national coordinator for the Attitudinal Development Project of the Youth Training and Employment Partnership Programme (YTEPP). In the early 1990s, he successfully transitioned from a career in the public service to establish his firm - ODYSSEY CONSULTinc Limited. With a client-base spanning the Caribbean and Central America in the finance, energy, service, public and manufacturing sectors, Odyssey’s core consultancy services include business strategy, organisational transformation, executive recruitment and selection and learning and development. 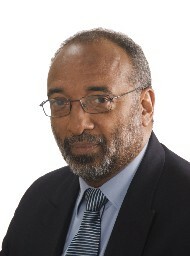 A founding and honorary life member of the Human Resource Management Association of Trinidad and Tobago (HRMATT), he has served as a member of the Caribbean Leadership Project Delivery Team, the Task Force for establishment of the National Statistical Institute of Trinidad and Tobago, and on numerous Boards of Directors. As a consultant with almost 30 years’ experience, his areas of specialization include leadership development, change management, team development and career coaching. His life work as an author and keynote speaker, and his service to organisations and community-based initiatives, are rooted in a commitment to enriching our region and its people. Nigel Romano is the CEO and Managing Director of JMMB Bank (T&T) Limited, a subsidiary of the JMMB Group, a position he has held since March 2015. He has extensive global experience in public accounting and banking. He started his career with KPMG then joined Citibank as CFO in Trinidad & Tobago. Six years later he joined EY as Tax and Corporate Finance Partner. He returned to banking in 1996 as Citibank’s Country CFO in Indonesia and in August 1999 was appointed Regional Quality Director for Citi’s Corporate Bank in Asia. He returned to the finance function in 2002 as Citi’s Asia Regional Business Planning & Analysis Head. In November 2006 he assumed the role of head of Citi’s Asia Pacific shared services organization responsible for 19 countries, based in the Philippines. 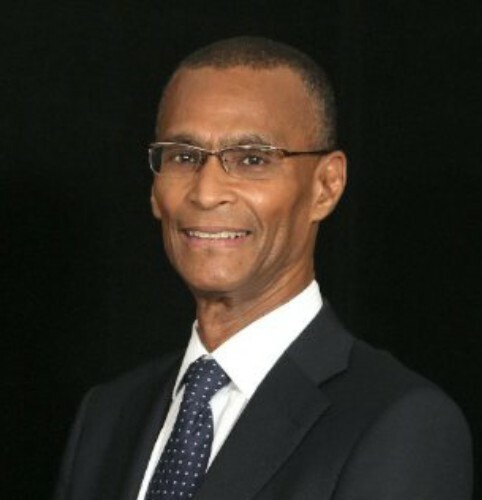 He returned home in April 2011 to join the ANSA McAL Group as Financial Services Sector Head, and in March 2013 joined the Caribbean Development Bank as Director, Finance and Corporate Planning. Nigel has served on several boards in both the private and public sectors, including Trinidad Cement Limited, the Port Authority of Trinidad & Tobago and the Patrons of Queens Hall. 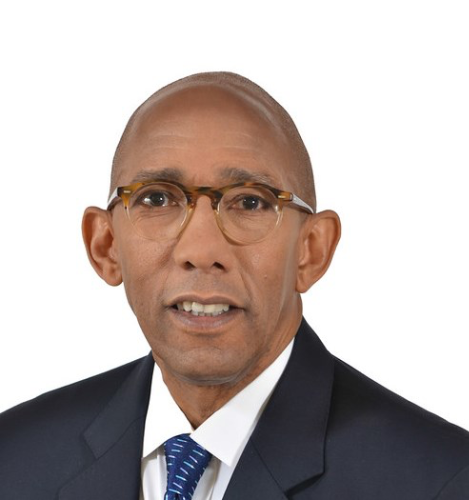 He is currently the chairman of National Flour Mills and the UWI Development and Endowment Fund and a director of the Caribbean Corporate Governance Institute. Nigel is also a Member of the Institute of Chartered Accountants of Trinidad and Tobago (ICATT). He is married, has three children and is a practising Roman Catholic. He enjoys hiking, reading and learning. 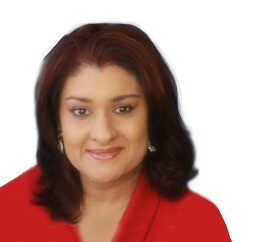 Sasha Dhoray has been leading Organisational Development and Human Resource consulting in areas such as: -competency based management for behavioural profiling - organisational optimisation/re-design - organisation transformation & culture -psychometric testing, assessment/ development centres - talent management for recruitment, performance management, development & training and succession planning initiatives in an effort to design and implement, relevant and strategic interventions that have measurable impact for individuals, teams and organisations. Apart from her MBA qualifications, Ms. Dhoray holds certifications in psychometric testing from Occupational Testing Limited, UK as well as assessor skills, assessment centre design and management from Saville Consulting Limited, UK. She is also certified as a Competency Based Management Professional by the Human Resource Systems Group, Canada and accredited by the Human Synergistics Inc, USA to conduct organisational culture and transformation engagements. Development opportunities at the Business School has also afforded her the opportunity to be certified in business process re-engineering, management consultancy, emotional intelligence and employee assistance programs. Her expertise and qualifications have given her opportunities to work with Managers, CEOs and HR Directors in local and multinational companies in countries such as Antigua, Dominica, Jamaica, Guyana, Guyana, Suriname, Ghana and Guatemala. 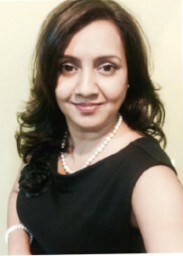 Sasha Dhoray is currently the Director – _Organisational Development and Assessment Centre, Consulting Services at the UWI-Arthur Lok Jack Global School of Business. Shermarke is a Director with PricewaterhouseCoopers Advisory Services Limited. He is an experience HR Consultant with over 12 years of proven experience in Human Resource Management in public, private and non-profit sectors. 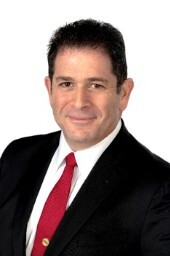 He is a compensation specialist and focuses on the areas of designing strategically congruent compensation systems, advising on international pay and workforce mobility issues, as well as post-merger/acquisition compensation integration, and diagnosing and implementing organizational development interventions. He has experience in managing quantitative projects involving complex multi-respondent surveys and advanced modelling techniques. Shermarke is a graduate of California State University in California where he received a Bachelor of Science degree in Business Administration with a major in Human Resource Management. 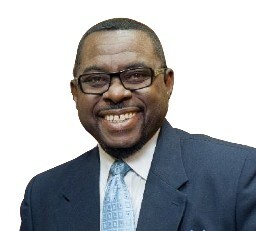 He also holds a Master of Business Administration in Human Resource Management and Business Analysis from Georgia State University in Atlanta Georgia and is a Certified Global Remuneration Professional from the WorldatWork Society. In addition, Shermarke regularly delivers presentations on Compensation and HR topics, at various conferences, training workshops, and client meetings and has the unique ability to excite, engage and motivate audiences. Tarin Hodges is a Senior Advisor within the Organisational Development & Assessment Centre of the UWI, Arthur Lok Jack Global School of Business Consulting Services area. In her role she engages Managers, CEOs and HR Directors in the Talent Management, Organisational Development and Culture Change discussion in an effort to design and implement, relevant and strategic interventions that have measurable impact in areas such as executive recruitment, succession planning, job competency profiling, employee engagement, culture change and leadership development - for both private and public sector organisations in the region. Prior to her role at Lok Jack GSB, Tarin worked in Trinidad and Tobago’s banking sector for over ten (10) years, holding management positions at two international banks. Tarin attained her Bachelor of Business Administration (BBA) with distinction from the University of New Brunswick (UNB), Canada with concentrations in Finance and Marketing. She has a Master of Arts (MA) in Industrial Relations and Managing Human Resources from Warwick Business School, UK. Tarin possesses certifications in psychometrics (from Cambridge University’s Psychometric Centre), Business Process Mapping, Change Management and Organisational Culture Assessments. 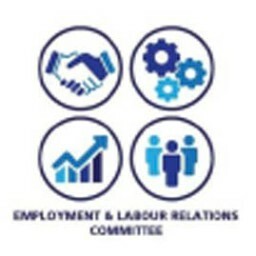 Tarin is a member of the Chartered Institute of Personnel Development (CIPD) in the UK, and of Global Leadership Interlink (GLI), an international network of values-based leaders. She is passionate about the individual, organisational & nation’s development and recently had the opportunity to share some development perspectives in an article for Business Trinidad & Tobago, 10th Anniversary Edition, on the potential of diversifying the economy by “Exporting Higher Education Services”. 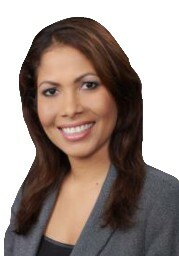 Zia is a Partner who leads the local consulting practice in PwC Trinidad. She has over 22 years of experience serving clients on major advisory projects for clients in both the public and private sectors locally and regionally. Zia supports clients with all aspects of transformation involving people, process and technology. Zia is adept in leading techniques in project management and change management which are imperatives for driving innovation in organizations. Zia leads the local Digital transformation team in the PwC Trinidad practice and works closely with international experts across the Digital spectrum to offer tailored solutions to local and regional clients. Zia serves as the Vice Chair for the Digital Transformation Committee of the American Chamber of Trinidad and Tobago and is familiar with both the local and international digital environment. Zia is a Fellow of the Association of Chartered Certified Accountants (FCCA) and holds an MBA from the Heriot-Watt University in the UK.